All too often I hear triathletes talking about elite triathletes as “genetic wonders”, “naturally talented”, or any number of other classifications that only serve to isolate them from the rest of the pack. While it’s true that there are a few things that separate elite athletes from the middle and back of packers in triathlon, genetics is rarely one of them. I take this to mean that hard work is much more valuable in the grand scheme of things than genetics or talent alone. To add to that, hard work, along with the habits listed below that anyone can practice, can outpace talent and genetics, bridging the gap and taking genetics off the table as an advantage. This has been my experience in practice. It has also been what I’ve learned from a multitude of triathletes I have come to know in the elite ranks; athletes who never started as “superstars”, and perhaps even lived lives on the exact opposite end of the spectrum (myself included), but put in the work and became exceptional. 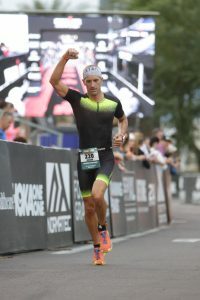 Here are some common habits I have seen in the elite ranks of triathlon, traits that I have witnessed in many, many athletes who continue to produce exceptional results despite not having the natural talent. They are consistent – A proper training cycle works for a reason. Within the months and weeks leading up to an important race, there is a period of base building, a peak phase, and a taper. Within those phases, each week has specific training focus – build, deload, endurance, speed, or any combination therein. With frequent schedule changes, missed workouts, or non-scheduled “hero mode” workouts (you know the type, the workouts where an athlete tries to break a record or achieve a crazy distance/time goal, like a double century on a recovery day), the body will not effectively adapt to the training. It will “miss the boat”, so to speak, of the focus of the macro/micro-cycles. In these cases, athletes can arrive at race day overworked or underprepared. Consistently following an effective training plan on the other hand – many times over a period of a few years – builds fitness, endurance, strength, and speed at surprising levels. There’s no magic to it. It all comes down to showing up and doing the right amount of work at the right time. They are purposeful – Every workout should have a purpose. If there isn’t a purpose for a workout, then it’s a waste of time. Sometimes it can be harmful if we do workouts without a purpose because it’s time we should be spending in rest or recovery. There are many different purposes for workouts, including endurance building, recovery, speed, testing nutrition, race simulation, mental training, etc. Elite athletes understand the purpose behind every workout that they do. If they don’t have a reason to do a workout, they will recover, or do something else. No junk miles. They understand that each workout has it’s place in the bigger picture. It is a piece in the puzzle toward a long term goal. For that reason, they know the vital concepts behind each workout, and focus intently on that purpose in practice. They know their bodies – Every person has differences in terms of how they tolerate and adapt to training/diet inputs. There is no single secret formula that works for everyone, but there is an individual secret formula for everyone. It’s just a matter of finding it. This requires learning about and understanding your body. It includes everything from knowing what foods your body thrives on (hint: it’s not Oreos), what type of training works for you, how much recovery you need, as well as your emotional/psychological requirements. Elite athletes know their bodies well, and they leverage this knowledge to apply the training that works for them to their overall success. They have faith in themselves – Not just the faith that they can complete the triathlon, but absolute certainty that they have what it takes to become the best in their class. This is what makes them extraordinary. Even if they have not yet produced the results to back the claim, they sincerely believe they have the ability to achieve them. They are certain that they can produce those results with the right kind of work. They know that they can win the race or become a world champion. On the other hand, many others will set limits in their own minds. I hear it all too often from the age group ranks, “I could never be that fast”, “those people are in another class”, or any number of phrases that serve to build an impenetrable wall between themselves from the elite racers. In reality however, any one of us has the ability to become one of the best in our class. After all, we all share a common bond; we all started with a single step. They have patience – Elite triathletes understand that fitness gains, especially at the tip of the spear, don’t always happen overnight. They take time and patience, sometimes many weeks, months, and even years. BUT when they do happen, their training and racing moves to an entirely new level. Achieving this takes patience. It takes doing the work day in and day out (with consistency). It takes doing the majority of the work at annoyingly easy paces so that the other 10% of the work can be done REALLY hard. The results come sometimes quickly, sometimes slowly, but they do come with patience and consistency. They treat nutrition as the “first discipline” – Those in the elite ranks are aware that their physical performance is only as good as the food that they are putting in their bodies. They know that what they eat has a direct effect on their performance. Therefore, they eat only food that can enhance their performance. This is highly individual of course, but the key is learning about and knowing what works and what doesn’t. This takes adapting through trial and error. They make training and racing a priority – Does this mean that they neglect their families, work, and social life and devote all of their time to the religion of triathlon? Absolutely not! On the contrary, many elite triathletes I know are some of the best fathers/mothers, and most productive people I know. 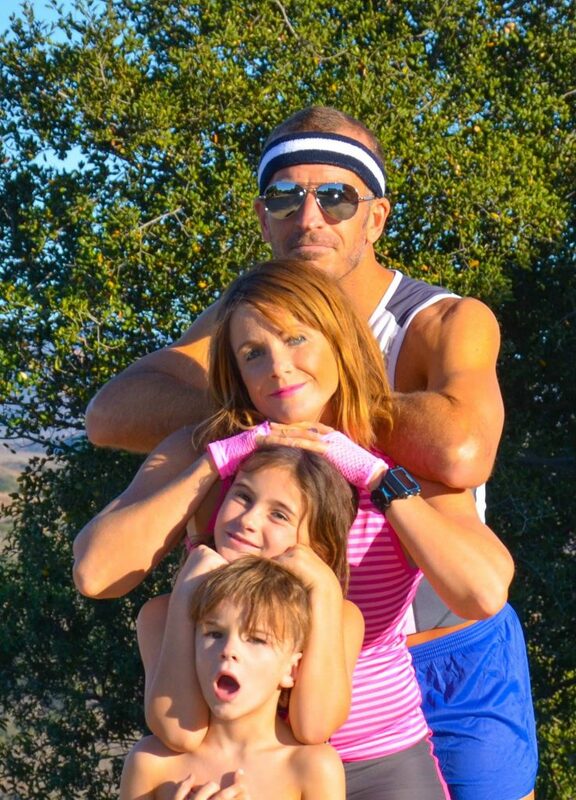 How do they find time to be great family people, great at their jobs, AND excel in triathlon? They get creative. Because they prioritize health and fitness, they know that they will have to manage their time effectively in order to make the most out of their training, family, and work life. Sometimes that means waking up before the sunrise, but more importantly it means finding solutions to the time management puzzle. This may include working while on the trainer, using lunch breaks to take a quick run, prepping all your food for the week, incorporating family time into training time, commuting to work on the bike, etc. The fact is that everyone has the same 24 hours in a day. If you truly prioritize your training, you will find creative solutions instead of excuses. They know how to recover – We all know that recovery is important to triathlon training, but more often than not this philosophy is spoken and not practiced. People with “A” type personalities want to push through the pain or exhaustion to get as much training as possible, when instead they should be spending some of that time getting a massage, taking an Epsom salt bath, sitting in recovery boots, or sleeping in. We, as a culture, praise the idea of getting up early, and surviving on little sleep, even though it’s not good for us. Elite triathletes understand that it is not during training that fitness gains occur, it is during recovery. The great thing about all of these habits is that they can be adopted by anyone. Part of the learning process in this sport should be educating oneself to develop winning habits such as those above, to perform at the very best. These are just a few of the habits practiced by elite triathletes, and they make a tremendous difference in long-term performance. Oceanside is one of my favorite races for a variety of reasons. First, I get to sleep in my own bed. You don’t know how awesome this is, to sleep where you’re comfortable before a race. Second, I have the hometown advantage. The bike course goes right along my training grounds, and I’m used to the weather during that time. Third, the vibe is awesome! 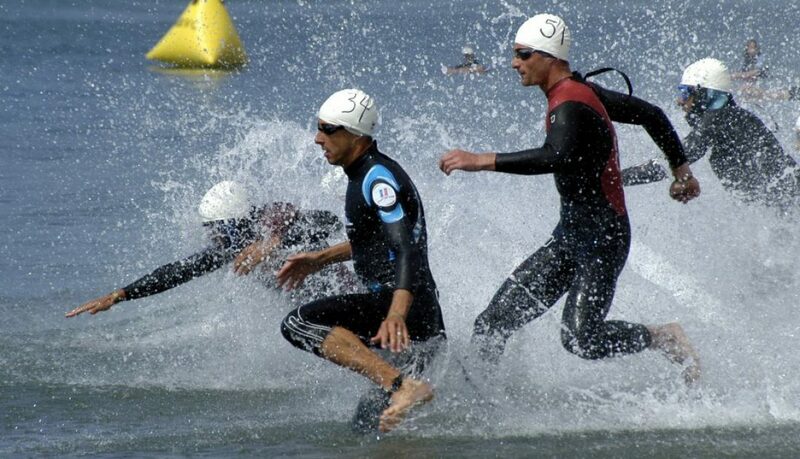 So many talented pros and age groupers to compete with. Finally, it’s a great early season test of fitness, which is what my purpose was for this race. Coming into Oceanside, I had rolled over my training program which I had used to build for Arizona, with great success. It was an attempt to see if Arizona was just a random lucky day, or the result of a great training program. The program was simple in its principle: Make easy really easy, and make hard really hard. I incorporated really hard bike efforts into long and mid distance rides in an effort to build bike power AND improve the strength on the run. In turn, I increased my goal paces on my hard runs to improve speed. All of this in the effort to “train like a pro.” This was my mantra. So there it is, the secret’s out. I have a pie-in-the-sky goal to become a pro Ironman triathlete. Yes, I know how old I am. Yes, I know I started this late. Yes, I know I have a long way to go. But, as I look back on my brief career in triathlon, I have seen the development I have made with an obsessive amount of focus and drive. What I’ve discovered is that if you truly have a belief in your goal, your actions gravitate in that direction, and a self fulfilling prophecy is born. I also like the idea of setting your goals so high that even if you fail, you still hit some high standards! Okay, back to the race at hand. My goal for this race was first a test of fitness. I wanted to see if I could go hard and maintain on the bike and still put together a good run split. 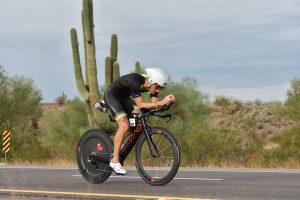 I had a great run split at Arizona, but I also took it pretty easy on the bike. I wanted to see if I could bike hard and still feel good running. Secondary to that, I had hoped for a podium. This is a competitive race, so hitting a podium would be a great confidence builder toward my build to qualifying for Kona in late July. This race was extra special because my wife, and Extra Life athlete, Marie was racing with me. I was more nervous for her than I was for me. I have been coaching her for a couple years now, and she has seen great success (cough cough **Olympic distance podium** cough cough), but this was her second 70.3 on a very challenging course. I knew that conquering some fears of biking on super hills was going to be a big deal for her, and I really wanted to see her succeed in that regard. She put in some amazing training to progress her training in this regard, and I think it paid off tremendously. To sum up her race in a nutshell, she conquered the hell out of those hills, finishing the bike in just over 3:30! While she was a little disappointed in her swim (mainly because she started a bit farther back than she wanted to, and wasn’t warmed up getting into the water), overall, she finished strong! I mean, look at that smile coming out of the water! I am so proud of my wife for finishing this race, as I know how challenging it is. It makes me proud as a coach also to see an athlete succeed in accomplishing their goals. I know that Marie has some more great races ahead of her, and many successes! For my race, I was up at 2:45 to do my Wim Hof breathing. As I described in this post, I believe the Wim Hof method for endurance athletes is a game changer. I have no affiliation with his product, I just believe in the method. I sat in my Normatec Recovery Boots for about 20 minutes while I did the breathing and meditation. I like to eat at specific intervals before the race starts. 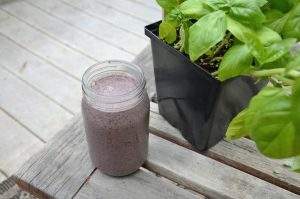 The first one is four hours before, when I consume about 400-500 calories in the form of a shake (banana, blueberries, oats, flaxseed, almonds). After the shake, I had a cup of coffee and got ready for the drive down to Oceanside. We made it to transition in plenty of time to chat up a few of my rack mates and friends. It was chillier than usual for this race, and there was a bit of a breeze, so it led to numb appendages. I put on my wetsuit earlier than usual. After using the bathroom one last time, I excused my way through the corral, jumped in the water for about a minute to do a quick splash around, and then fell into the front of the 30-35 minute group (it was a rolling start this year, which I loved). The gun went off, and about 5 minutes later I was in the water. Again, I love the rolling start, and I believe that it was partly responsible for my swim PR. Since I have traditionally been a 33-34 min HIM swimmer on this course, being at the front of the 30-35 minute group helped me to push my pace immediately to stick with the faster folks. I don’t remember being passed during the whole swim, and while I would call the group swimming around me “aggressive” (I was hit in the face a number of times, and kicking was pretty violent! ), I had clear water most of the way. 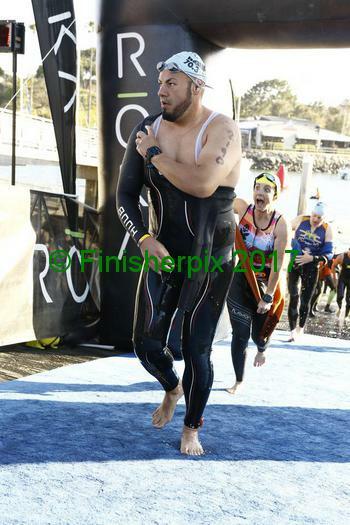 I felt really strong for the first half of the swim, and was trying to keep the tempo high. The cold start led me to feel a bit stiff in the neck, but ultimately it wasn’t too much of a problem. 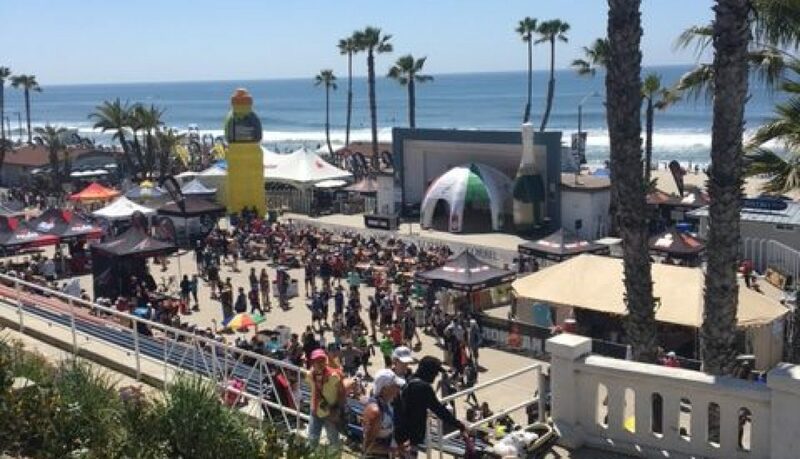 I like Oceanside as a first race of the season because the swim is very easy, and it’s easy to overcome the first race jitters. There’s only about 200-300 meters of “rough water”, when we get out to the channel, but nothing too bad, even in high surf. Rounding the farther turn buoy, we head right back into the sun, which makes sighting challenging. I just look up briefly and make sure that I am directly behind “splashy people”. If not, I’m off course. Fortunately, I had a good line for the whole race. The swim was mostly uneventful, but fast, and I was back to the boat ramp in 32 minutes, a new half Ironman swim PR for me. Coming from 38+ minutes a couple years ago, I’m happy with this progress, and look forward to some more to come. Did I mention I love the rolling start? If it weren’t for this, I would have been in the last wave, which would have meant a) waiting until like 8 am to start the race, and b) having to make a lot of surges to pass large groups of people for most of the ride. That’s not too much fun, and not very safe. With the rolling start, I was in the water before 7 am, and close to the front of the race once I got on my bike. This being the case, I was able to settle in pretty quickly and focus on my sustained effort. The goal again was to push the bike and try to be sustainable throughout. Then I wanted to see how I could run off the bike on tired legs. 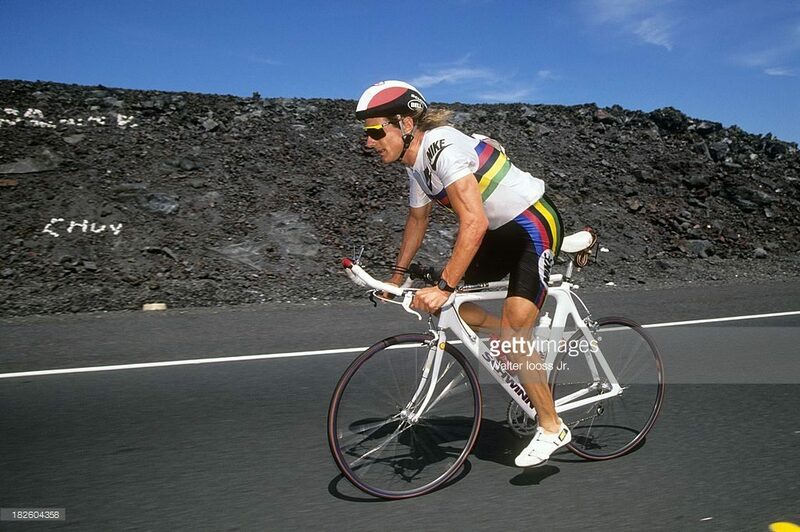 I don’t use a power meter on the bike, I just focus on my effort and heart rate, and I was able to keep my heart rate around 140-150 for most of the bike except for a few surges to climb the hills or make passes. The first half of the course is relatively flat, and I ride this part of the course very frequently, so I was able to pace very well and ride strong. Did a lot of passing, and was able to get a glimpse of the lead groups while riding up the out and back on Las Pulgas. I was pretty surprised to see a lot of folks riding in the front packs. This was an early indication that there were a lot of fast folks here this year. The second half of the course is very hilly, which is what makes this course challenging. Additionally, throughout the year you are not allowed to ride this segment of the course, which adds to the challenge and enjoyment. 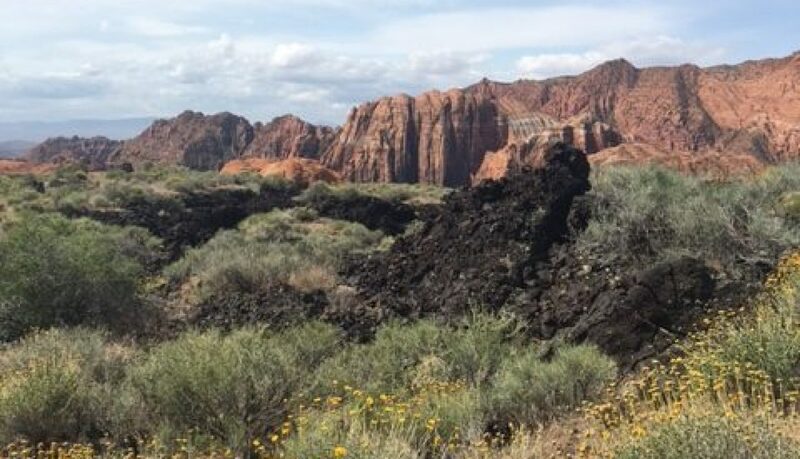 On one hand, you get to see a part of California nobody (except military) get to see. On the other, it tests your bike fitness! I chose to push hard up the big climbs, getting out of the saddle and exerting big effort to climb them. I also descended well, passing a number of people and maxing out at about 45 mph. I kept up the tradition of getting passed in the “no passing 25 mph zone” also. I wonder if the guy got DQ’d? Right at the turn to Vandegrift is my cue to take in the last bit of nutrition. I did so, and enjoyed the final 10 miles of downhill into transition. With about a mile left, I began spinning at lower power to flush out the legs and get them ready to run. I ended up following pro Kelly O’Mara into transition. Before running out of transition, I stopped into the porta potty for a quick second, which added some time. During the bike leg I moved up from 32nd place in my age group to 6th. As I got onto the run, I was feeling pretty fast, but feeling a little nauseous. This is common after overbiking, which I think I may have done a bit. That was okay, it was part of the plan. Now to suffer the run. Despite the nausea, I felt pretty good and kicked off low 7 minute miles. This was pretty normal for me on this course at this point in the race. The previous two years I would cramp up around mile 2 or 3, and then begin to fade slowly over the course of the race. While the cramping began to rear it’s head, I stayed on top of it with water, salt, and proper breathing. I think the breathing definitely helped. While I certainly knew the stomach cramps were there, I didn’t succumb to them. Also fortunately, I felt that my pacing was sustainable, a good sign that my speed and tempo work was paying off. Over the course of this training build, I pushed much harder paces on my interval and tempo runs, holding my tempo paces around 6:15. I was happy to see that this worked for my running strength. My low 7 min paces stayed consistent throughout the course of the run. I once again used Coke (Sorry… “COLA”) as my primary nutrition, taking it in every mile. I was very surprised to see how often I was being passed. It wasn’t because I was feeling terrible, in fact I was having the best run I’ve had to date at a 70.3. It was simply that there were a LOT of fast dudes here. Looking at the final standings, I was astonished by how many people run a sub-1:30 half marathon. I’m just grateful that I’m headed in the right direction with the type of training that I’m putting in. It was only at the last mile and a half that the abdominal cramping began to get to me. It stopped being “manageable” and started forcing me to double over a bit. With just a mile and a half left I didn’t want to be forced into walking. I slowed a bit, and let the pain subside, and then picked up the pace again. Fortunately, this did the trick. In the finishing chute, I saw the same pro that I left entered T2. I thought I would hold back a bit so as not to do the rude thing and pass her in the chute. Unfortunately, I felt another guy starting to run me down. Not wanting to let that happen, I sprinted by and finished strong. Again, some really fast dudes at this race. I was really hoping for a podium this time around, but was very happy to have a course PR and a personal best swim and run with a nearly personal best bike. It makes me feel confident that my training is paying off. Although it does feel ominous as I prepare for Santa Rosa. I notice that many of the same people in my age group racing here will be racing there. It means that some really smart and high quality training will need to be put in between now and then. For the rest of the day I had the joy and privilege of watching my wife finish the race. Though she gave me the stink eye the whole time for lying to her about the severity of the climbs on the bike course :-). Next stop is Ironman 70.3 St. George. I’m not looking for anything special there, just some more race scenario practice. Until then. I occasionally like to share the secrets of the pros, elite amateurs, and world class performers from all walks of life. Simple concepts that can be implemented in your own lives to push you toward unbelievable success. Today the secret that I’d like to share is a simple concept, with a lot of depth to its execution. That secret, quite simply, is consistency. Everyone is searching for the magic bullet; the one action that will make a dramatic difference in one’s training, personal improvement, or career. I have yet to discover any single thing that is the key to unlocking all of the results in life, but consistency in reinforcing healthy habits is as close as you’re going to get to the golden egg. Most people who have success in any field, especially with regard to athletics, or music, or anything that requires practice, have this in common: They consistently do the work, day in and day out. They practice their craft obsessively, and with purpose, in every aspect. Even if they fail, even if they have setbacks, they still get back up and do the work. I know it sounds cliche, but it’s true, success is bred from repetition. Learning the right lessons from setbacks of failures can put you on the right path to success. The million dollar question is, “How do we form healthy habits, and remove the unhealthy habits?” The simple solution to developing any habit: Do the action a lot, consistently. The simple answer to breaking any habit is the opposite: Don’t do the action, consistently. Sounds simple, right? Unfortunately, our minds are working against us. The problem is this. Breaking bad habits is really hard! Creating new healthy habits is really hard! But it doesn’t have to be. The only reason that it is hard to break a bad habit is that we associate so much pain with quitting. Take smoking for instance. Most people don’t want to quit smoking because their perception of the pain of withdrawal is so great that that they want to avoid that pain. So the bad habit remains. I know this because I have quit smoking… twice! The same is true for creating healthy habits. The primary reason that we fail to develop healthy habits is because we are associating pain with the healthy activity itself. Famed performance coach, Tony Robbins goes into great detail about pain and pleasure, and how they influence our actions in his book “Awaken the Giant Within”. The same pain and pleasure principle applies as it relates to habit formation and consistency. Here’s an example, imagine someone who has a New Year’s resolution to begin regularly swimming at the local YMCA. The first few days, he is entirely motivated, and jumps out of bed at the opportunity to get to the pool and begin swimming. This is the “honeymoon period” we’ve all experienced when we resolve to get fit and healthy. After a short while the honeymoon period begins to end as the excitement of the new experience starts to go wane. Motivation becomes harder and harder to find. Instead, the excitement is replaced with boredom, or annoyance, or discouragement. The pain starts to outweigh the joy of the activity simply because the perception of the activity has changed. I don’t want to wake up at 5 am, I need more sleep – pain. The pool is too crowded, I don’t want to share a lane – pain. I hate smelling like chlorine – pain. I don’t have the time to swim – pain. The list goes on and on, and the excuses only reinforce the pain. We’re incentivized to hit the snooze button because we associate less pain with staying at home in bed. Thus, we’re more inclined to skip the activity, consistency is lost, and the new habit is not reinforced. When we don’t reinforce a habit with consistent action, it’s like trying to chase a motor boat by swimming with your arms tied behind your back! Make the process simple – Overcomplicating a task is one surefire way to create more pain. Consider the complexity of the myriad of popular diet programs out theree. Think about all of the rules surrounding each of these fads, whether it be low-carb, paleo, intermittent fasting, etc. If you spend enough time in a grocery store or restaurant trying to find the foods you should or shouldn’t eat, eventually you give up and just buy a cheeseburger! Complexity kills joy, and it sure as hell makes it difficult to find the motivation to continue with the program. Wouldn’t it be simpler just to create a habit of eating healthier by cutting out sugar and processed foods? This will at least get you 90% of the way to your goal. Then, once you’ve developed the simple habit from consistently eating healthier, you can begin to focus your attention on the additional 10%. If we overcomplicate a process in the beginning stages of habit formation, we hurt our chances of succeeding. Challenges by their very nature are difficult to overcome for a variety of reasons. The more we can simplify and reduce the complexity of the process or the path to achieve the goal and overcome the challenge, the more the joy of the achievement will outweigh the pain of the process. Heightened positive sensation – Our senses are associated very highly with attitude and state of mind. If you can find joy in what you see, hear, feel, smell, or perceive while performing the activity, you will be more likely to do it consistently and form a habit. This means being in tune with all your senses at any given moment during an activity, and shaping your perspective of those senses around gratitude and acceptance (to see how gratitude and acceptance can lead to reduced anxiety, check out this article). Before the activity, spend some time in meditation, specifically to clear your head of any negative or self-defeating thoughts. Use visualization techniques to shift your focus onto your goal and the joys surrounding the achievement. Specifically picture yourself taking every step toward your goal successfully, and experience each joy as it comes. Affirm positive thoughts in your mind, such as “I will achieve my goal”, while thinking about the joys you will experience when you successfully achieve the goal. Think of the lives you will touch, the confidence you will have, the reward, and the adventures to come! Set mini goals to guide you on the path of your larger goal – I highly recommend setting up a goal hierarchy. If you’re not familiar with what that is, it’s simply a method by which to make the larger goal (the dream) more accessible through smaller, bite sized goals. 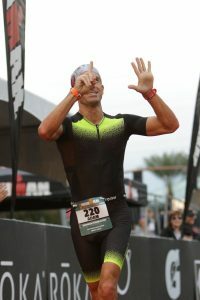 For example, if your goal is to qualify for the Ironman World Championships, that is a very big and challenging goal! However, there are steps you can take to get there which make the process less daunting. Breaking that goal into smaller pieces will not only force your focus onto the present, but it will also increase your opportunity for achievement and fulfillment over the course of your journey through successive mini-goals. Achieving these mini goals will keep you engaged in the process as opposed to making you overwhelmed and discouraged by the enormity of the dream. Before you know it, your dream will be your next mini-goal! 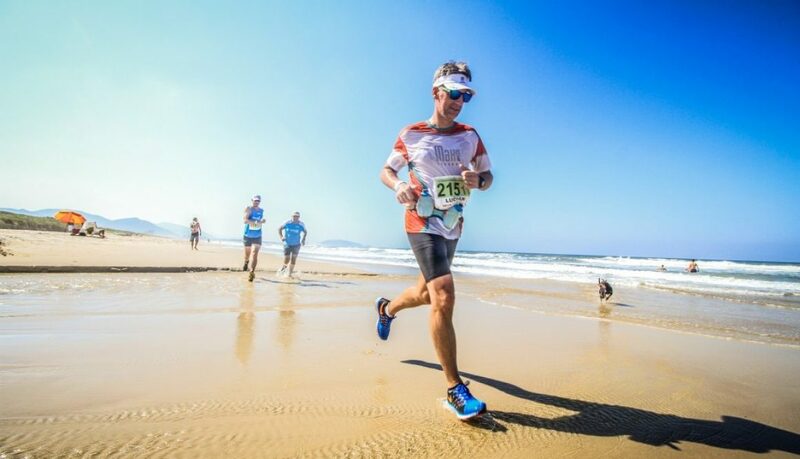 Vary the activity – This is one of the many reasons why triathlon is such a great sport for physical and mental fitness. It’s three separate activities (four, if you count strength training). Variability breaks the monotony of the task and increases the level of excitement. As an additional measure, you can vary the environment in which you perform the activity. 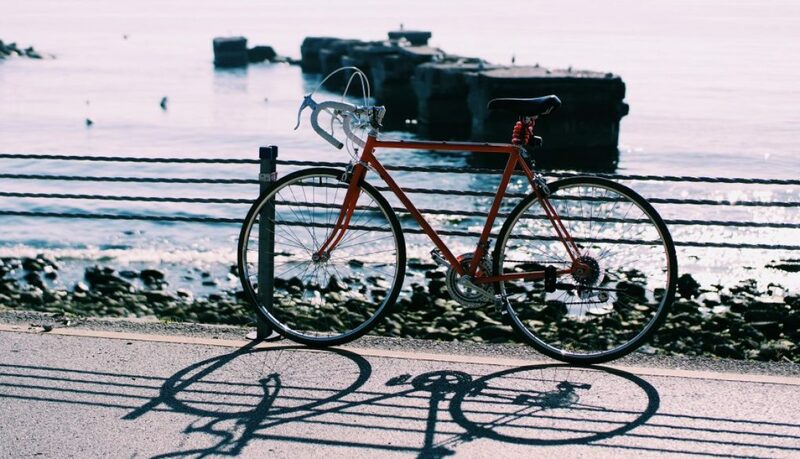 Change the path you run or bike. Swim at different pools, or find some open water swims. Reward – When I say reward, this reward has to be reinforcing. Too often, people give themselves a reward that breaks the habit we are trying to reinforce. For example, if a person goes without sugar for a week, they may reward themselves with a piece of cake at the end of the week. While the pleasure of the cake may be felt at the time it is received, it is only creating and reinforcing long term pain with the habit we are trying to create! Here’s a better idea. If you’re trying to create a habit of consistently following every workout prescribed in a workout program, perhaps your reward can be a beach day. Take the opportunity to show off your new found self confidence. Of course it doesn’t have to be a beach day, as long as the reward is reinforcing of the habit you are trying to reinforce. How Long Does it Take for a Habit to Form? The beauty is that the more joy we associate with an activity and the greater the pain we associate with not doing the activity, the more quickly the habit is reinforced. At that point, skipping the activity actually becomes more painful than doing the activity! When that tipping point occurs, we will do everything in our power to avoid the pain of skipping the activity. The time it takes depends on the level of joy we associate with the activity and the level of pain we associate with avoiding the activity. The greater the joy, the faster we form the habit. Remember: Habits are reinforced by consistency, and our willingness to perform a task consistently depends on the joy or absence of pain we experience in the task. So stay joyful, do everything within your power to maintain a positive attitude, and enjoy the results you see from consistent habitual action. Made it through another year, safe, healthy, and sober. Broke 10 hours in an Ironman for the first time (Vineman). 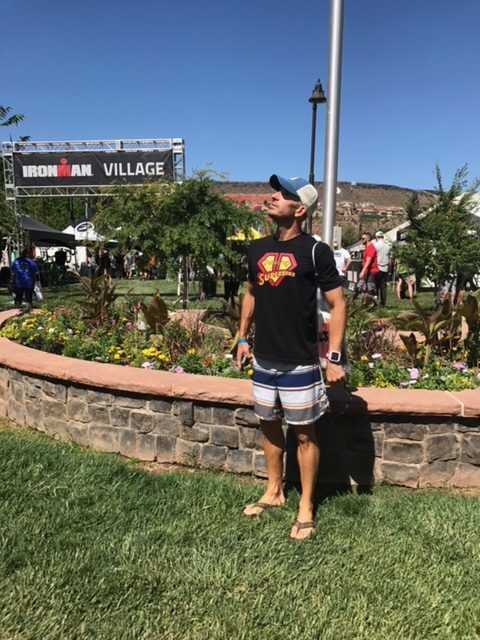 Broke 9:30 in an Ironman for the first time (Arizona, four months after Vineman). Achieved my first podium at a triathlon (2nd in age group at Pacific Coast Triathlon). Achieved my first podium at an Ironman 70.3 event (5th in AG at Superfrog). Just missed a Kona slot at Vineman (missed it by 2). The most dramatic improvements for me came on the run. In 2015 I really struggled with running off the bike. I just wasn’t hitting my training paces. 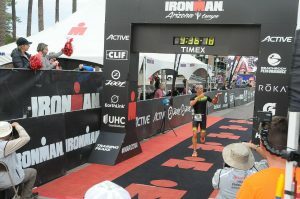 After making some adjustments to my training and preparation this year, I was able to not just run well off the bike, but far exceed my expectations, running a 3:37 at Vineman and a 3:20 at IM Arizona. Decreased swim volume training – this served a few purposes. First, it was to make more time in my schedule. Second, from the standpoint of an adult onset swimmer, I tend to get fatigued by heavy swim volume, which of course causes my form to break down. I thought that by decreasing the volume and focusing on higher quality swim workouts I would a) maintain my form and energy, and b) give myself more capacity for bike and run training. It was tough for me to follow the counter intuitive approach of decreasing volume to improve, but it was effective, as I swam better this year than I did in years past, with a personal best IM swim of 1:03 at Vineman. More bike trainer workouts, less outdoor and overall volume on the bike – A theme with my training this year was to become as efficient as possible in order to save time. More miles on the trainer meant that I could better control the quality of my bike workouts. I structured small periods of intensity into longer rides, as well as focused tempo and steady state sessions. Though my bike fitness didn’t seem to improve over the previous year, this approach did wonders for my run. Made Easy VERY easy – I used to think that I was going easy in most of my workouts, until I started going really easy in 2016. I ran my aerobic runs at a heart rate about 10 bpm lower than what I had in 2015. This made a big difference to the freshness of my legs, and my ability to do harder workouts harder. For the first time ever, my Ironman marathon pace was much faster than my easy training pace. Made recovery a priority – As I’ve written about in previous blog posts (see “Two Secrets to a Huge PR“), I incorporated a number of recovery tools into my protocol. This included the Rapid Release Technology and the Normatec Recovery Boots. Both were effective, though I would give the edge to the RRT for more effective tension release. The Wim Hof method has been great for providing much needed energy before a workout. It’s almost a way of priming the lungs and saturating the muscles with oxygen, which allows them to operate more effectively. Of course sleep was a big part of my recovery, and I did all I could to get at least 8 hours a night. For 2017 I plan to do double down on the things that worked for me. Recovery will continue to play a major role, and so will meditation (both in and out of workouts). I also plan to increase the contrast between easy and hard, making sure that easy is very easy. For my hard workouts, I plan to target higher watts during bike intervals, and higher paces during run intervals. My hope is that I can improve my bike split in 2017 and 2018 to bring me closer to the goal of a 9:00 Ironman. I have three 70.3 races on the schedule for 2017, but it’s still up in the air as to whether I will do a full or not. I am choosing to focus on other things which will limit my capacity for full Ironman training. I will continue to work on ways to find the most efficient training methods so that I can improve as much as possible with as little time commitment as possible. My hope is that when I do once again sign up for a full Ironman, I can do so with the confidence that I can achieve my goal of qualifying for Kona, and even more lofty, breaking 9:00! An athlete’s diet is one of the most challenging aspects of a healthy lifestyle, and it is over complicated by the fact that there is no shortage of conflicting nutrition advice. The debate goes on as to what approach is best. Paleo? Low Carb? High Protein? There is strong support for all of them. The truth is, however, that just like in physical training, each person is unique in how they respond to a variety of stimulus. The same is true with nutrition. An effective nutrition plan is highly dependent on the individual and their tolerance. As is true with our coaching philosophy at Extra Life, it is important for an athlete to know their body, understand what works for them, and know how to adapt. This is a vital part of holistic health and fitness, and success in endurance sports. I can’t stress it enough. Know yourself! You can’t rely on someone else to tell you exactly what will work for you! In this regard, a good coach would guide an athlete on their journey of self discovery, rather than simply tell their athlete to eat more bananas. Unless an athlete want to employ a highly qualified, highly capable, and highly expensive nutritionist, they will need to experiment to nail down their nutrition (and will likely still have to experiment even with the advice of a nutritionist). The important thing to note is that this experimentation should be methodical and purposeful, as opposed to random and unreasonable. Don’t just try a new diet simply because a friend said it works for them. That is a recipe for disaster (see what I did there?). As the experimentation takes place, it is important to adjust one variable at a time to see how it affects you, and to allow that change to take place over a significant time frame so that your body can adapt. This doesn’t have to be a daunting task. As long as you stay conscious about how your body, mind, and performance reacts to different dietary stimulus, the process can become quite efficient and effective. Here are some simple steps you can take to nail down your perfect diet. Before I begin the list, I want to mention that if you do suffer from certain allergies, food intolerance, eating disorders, or other conditions which may be negatively impacted by a change in diet, you should consult a doctor, nutritionist, or other professional before making any changes. Start with a clean diet: All too often, people are quick to jump into fads, trends, or gimmicks. They will go from the “fast food” diet to a low carb diet, or a paleo diet and become overwhelmed by information. Additionally, they may be disappointed after their diet du jour doesn’t work for them. Why overcomplicate it? Keep it simple, and you won’t get overwhelmed. Simply start by eating healthy! Cut out all the refined sugars, processed foods, and bleached products, and start shopping at the ends of the grocery store where the colorful fruits and veggies are. Stop eating foods that come out of boxes, and start eating foods that come out of shells (nuts, eggs, etc). A simple “clean” diet serves as a perfect baseline from which to begin adding or subtracting different types of foods. The concept is simple: Eat foods with natural ingredients, the closer to their original packaging the better. This includes eggs, meats, nuts, seeds, grains, fruits, vegetables, etc. For many people, this is all the change they will need, and it will make a dramatic difference to their health, fitness, happiness, and performance. If you are coming from a less than clean diet, expect to spend some time detoxing, which can cause irritability, fatigue, or even illness. For this reason, I would advise sticking with it for at least a month before adding or subtracting different foods. Track your calorie and macronutrient intake: Apps such as MyPlate are great for this. Simply add the foods in the amounts you are consuming and determine how many calories in the form of fat, carbs, and protein you take in on a daily basis. Most people will hover around 50-60% carbs, 20-30% fat, and 15-20% protein. You may be higher or lower in some areas, and it may give you an indication on what you should adjust going forward. The key is to gain insight into what you are consuming and how much. From this knowledge, you can discover how each type of food affects you. Knowledge is power. Make minor adjustments to your diet and monitor the effects: Does it seem like eating too much fat is causing you to feel sluggish throughout the day? Are oats giving you stomach distress? Try cutting out certain foods that you think are causing you issues, one at a time and monitor the effects over the course of a couple weeks. Alternatively, you can start adding foods to see if they become a benefit/detriment (are you craving breads? Heck, why not give them a try for a couple weeks?). Try not to cut out too much at once and/or add new items to the diet at the same time or you will confound your data. Over time you will begin to know what items are good for you and what are bad, and you will begin to hone in on YOUR perfect diet. Timing: Do you operate better by eating a large breakfast and smaller lunch or dinner? Are you more energized by smaller, more frequent meals throughout the day? Do you turn into a Gremlin if you eat after 7 pm? These are all questions you can answer by getting to know how you process food throughout the day. If you find that you get hungry late at night, that is a good indication that you didn’t eat enough during the course of the day. If you are tired at 2 pm, it may be time for an apple, or you may think about having a more substantial breakfast/lunch. Generally, it is good to have a healthy and complete breakfast, smaller meals over the course of the day separated by no more than a few hours, and no eating too close to bedtime. All of this is very individual, and it’s worth getting to know how the timing of your meals affect your mood, fitness, and performance. I am of the belief that there is no “one size fits all” approach to diet and exercise, despite attempts of some to convince us otherwise. Each person has a unique and perfect diet best suited for them. It is up to each individual to discover that perfect diet on their own. This is for all those that feel like they have to question their “status” as an Ironman athlete. We see this question posted on social media almost weekly, prompted by a more frequent occurrence of Ironman races being shortened in some capacity, whether through cancelled swim, shortened bike, etc. The resulting commentary is mostly encouraging, but sprinkled in is a disappointing amount of cynicism from those that believe that in order to be an Ironman, you have to do exactly 140.6 miles. 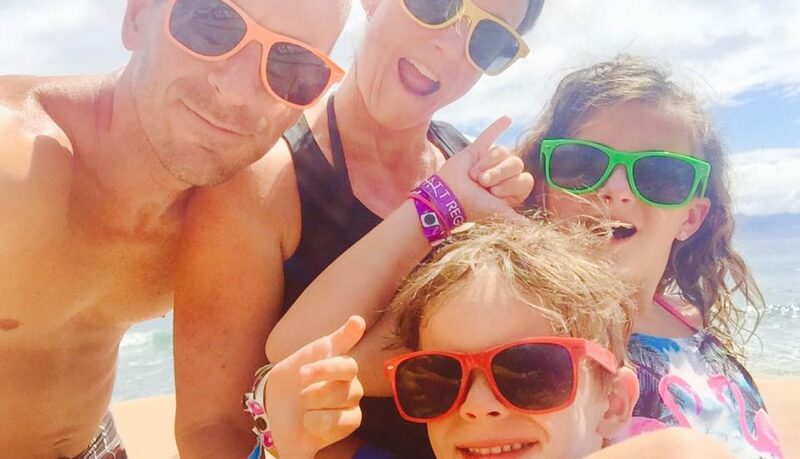 SwimBikeMom addressed this new negative trend on triathlon related social media in a post called “Where Have All the (Nice) Triathletes Gone?” It is sad that a number of people are choosing to disparage others in a sport that has evolved into one that is welcoming, encouraging, and inspiring. I feel these people are REALLY missing the point.